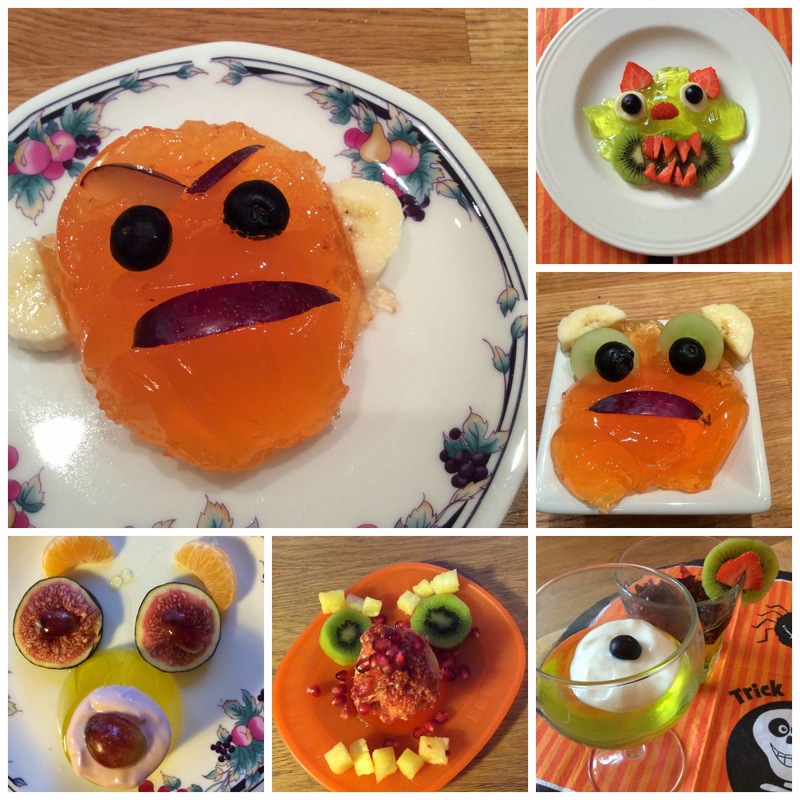 A Happy Healthy Mummy: Jelly, jelly frightening! Halloween is a lot of fun sure, but rarely is it very healthy - especially for your kids as they trick or treat their way round the neighbourhood. 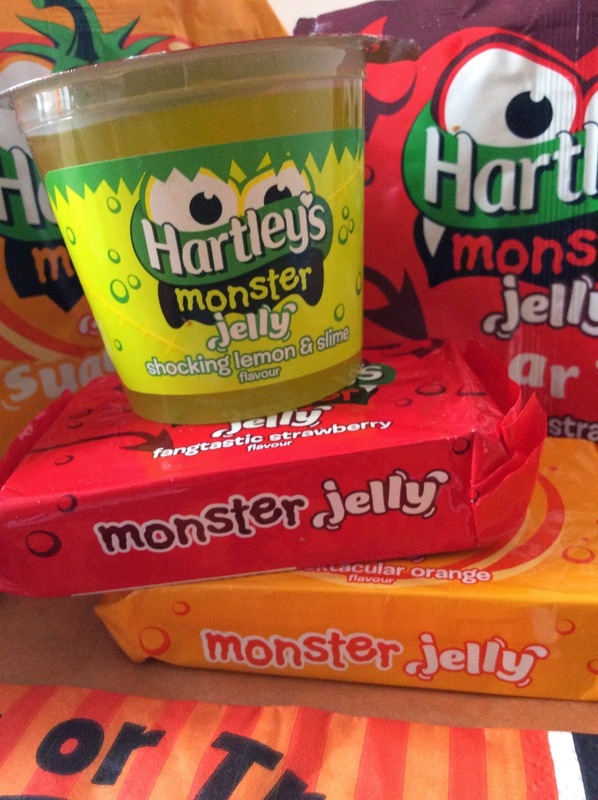 So when Hartley's asked me to try out its 'monster' jelly range I wanted to throw a curveball into the equation - and at least try to sneak some nutrition in along the way. If you wanted to go super healthy of course, you can make your own jelly using fruit juice and gelatine. But if you don't have the time or the inclination head to your local supermarket (Tesco, Asda, Waitrose, Morrison's or Ocado) and pick up these limited edition jelly packs, sachets or pots for as little as 45p. The range, especially released for Halloween, comes in Spooktacular Orange, Fangtastic Strawberry and Shocking Lemon and Slime. And then salve your conscience by creating some ghoulish creations adding plenty of fruit (and a little yoghurt maybe) to everyone's favourite wobbly dessert. My prize result was using lychees stuffed with blueberries as eye balls - and then plopping that in red jelly in a clear container. It sets perfectly - and looks revolting! Pomegrante and passion fruit seeds can also add some blood and gore to the proceedings, while bananas make great horns I discovered. I also used yoghurt as eyes, and added grapes and berries for details. Kiwi and pineapple (which you can't use within the jelly if you want it to set) were nutritious add-ons too. 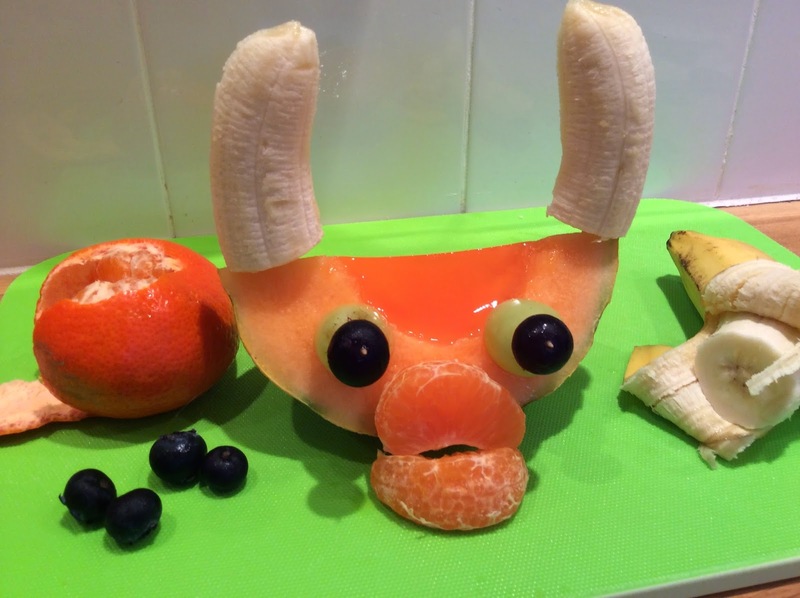 As well as using moulds and bowls as containers, I used plastic cups (you can draw monster faces on these with pens or use stickers) and a melon (then I cut it into wedges). Enjoy my creations - for some reason I think they look cute rather than scary! And if you have any tips on how to make Halloween just a tiny bit healthier...please share in the comment box below!